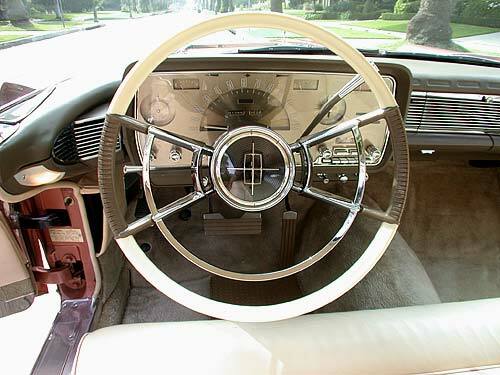 The steering wheel on the 1959 Continental is huge. It's a joy to look at and provides comfortable hand grips. The instrument panel appears to float in front of the recessed dashboard.